Travel activity marketplace Peek has gone global. Today it announced that it is expanding beyond the shores of the United States to include London and Paris as cities it supports. 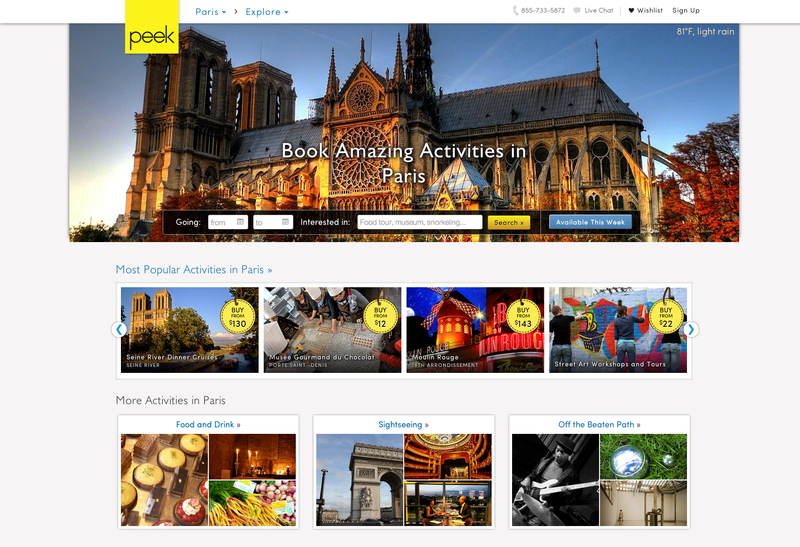 Peek was started as a means to help travelers find things to do on their vacations. Often times, finding an attraction to visit or an activity to do can be pretty difficult — everyone has their own idea of what they want to do (e.g. travel like a local, finding family-friendly things to do, gay/lesbian, etc.). And there are multiple sites to curate activities from. Peek has consolidated these all under one service and made it so all things can be booked in one seamless fashion. 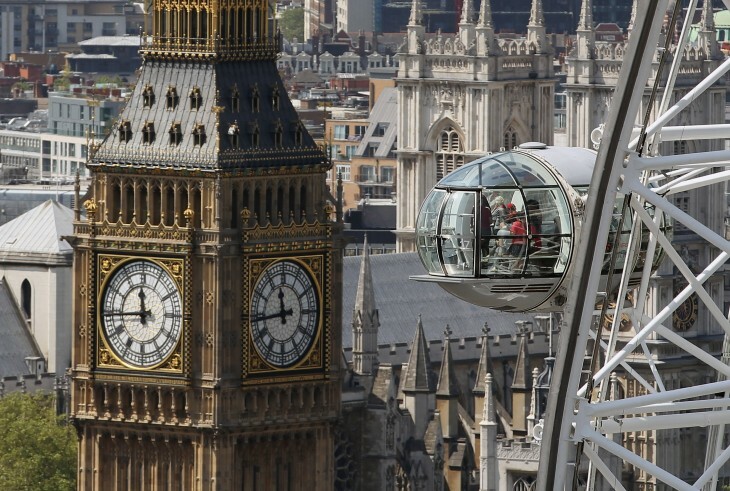 The addition of London and Paris beefs up Peek which already covers 15 regions in the US, including Hawaii, California, Las Vegas, New York, Miami, and Orlando. Company founder and CEO Ruzwana Bashir tells us that these destinations were chosen because they are two of the most popular destinations in Europe. Furthermore, the fact that they offered Peek the opportunity to work with different currencies and languages made these cities all the more appealing. Users who come to the site to learn more about what to do in London can select activities like taking in the River Thames, Canary Wharf, or bungee jump off of the O2 Arena. Other things to do include a walking tour of Soho and a list of great restaurants to eat at. For Paris travelers, Peek offers things like traditional French pastry classes or a tour of the city’s Flea Market with over 2,500 shops. As with all of its cities, Peek has included its Perfect Days itinerary — those day-long schedule of activities the startup asks tastemakers to put together so that travelers can really experience the city in a unique way. The company has teamed up with individuals like TV host Suze Orman and chef Mark Hix. Bashir says that thanks to the startup’s Perfect Day Builder, community-generated schedules have also been helpful in pulling content from. Bashir says that other European countries will be added in the future, although she did not provide a timeline. Peek raised $1.4 million in funding from Twitter and Square co-founder Jack Dorsey, Google’s Eric Schmidt, SV Angel, and Khosla Ventures.